At this year's Sacrum Profanum Festival in Krakow, PL, "Metapattering for Constellation" - a new composition by Faith Coloccia with Aaron Turner - will be debuted. The piece was commissioned by the festival, and will be performed by a 9 piece ensemble as part of the Post-Indie Classical event on 09/30. More on the festival here. 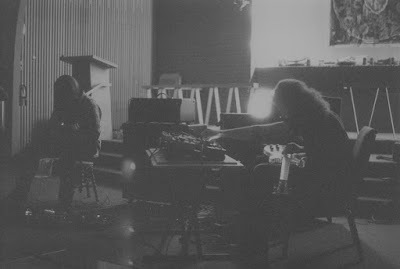 "This concert is an attempt at defining, identifying or perhaps even constituting new aesthetics – post indie classical? This type of music is created in opposition to sometimes too predictable modern music, but at the same time to over-aestehticised and following the beaten tracks indie classical, and is written by non-academics from the world of independent music. The concert will be unique for one more reason – as the light goes down, you will not know what to expect. 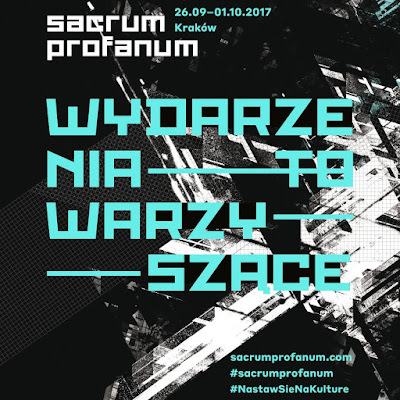 All compositions will be produced by Spółdzielnia Muzyczna as premieres; they have just been commissioned by Sacrum Profanum and are being composed. Their author’s vision of instrumental music will be presented by Faith Coloccia and Aaron Turner (Mamiffer, Sumac) – privately a couple of the pianist and the guitarist – vocalists, graphic artists and composers of music basking in the air of melancholy, situated between ambient and chamber music; Aidan Baker(Nadja) – a multi-instrumentalist, a prolific artist representing many aesthetic styles, first of all ambient, drone, shoegaze and kraut-rock; Toby Driver (Kayo Dot) – a vocalist, multi-instrumentalist and composer of music at the crossing of the avant-garde, jazz and prog-metal; Mika Rättö and Jussi Lehtisalo (Circle, Pharaoh Overlord) – a vocalist and a bassist who play all kinds of music from heavy metal through the improvised avant-garde up to avant-rock; Paweł Kulczyński (Wilhelm Brass) – specialising in modular synthesisers, broken rhythms and sound installations (e.g. last year’s Shibboleth)."